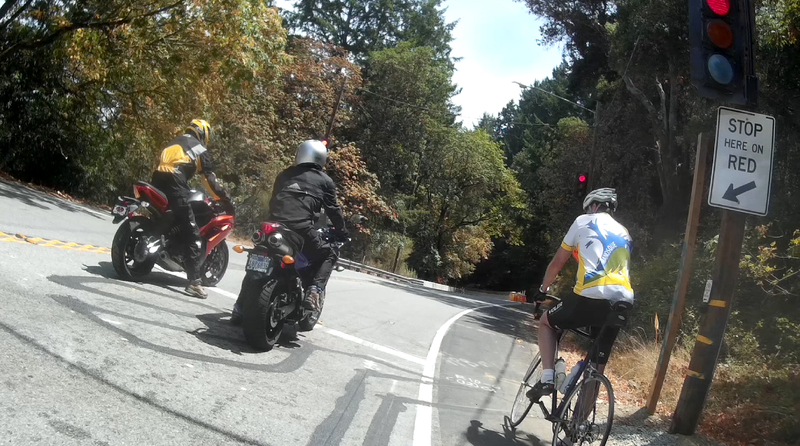 One of my favorite roads is Big Basin Way in the Santa Cruz Mountains, the section connecting Hwy 9 and Big Basin State Park, but let’s not call it by its official state moniker: Highway 236. It’s a narrow, winding road where every turn is a blind corner. Highway 9 (big Big Basin Way) looks more like a highway, and more so all the time as the state continues its widening project. There are two signal stops now, one at the Saratoga Creek pump station entering the twisty section, and the other about a half-mile up from Redwood Gulch Road. The twisty section is being widened considerably. Whether or not other blind corners with no shoulder will be widened is not known. There’s another section slated for widening higher up between the two current work sites. But back to Big Basin Way, or Hwy 236. I have nothing against car rallies, but the Porsche tour de force on Sunday coming at me was a bit much as they cut corners at every bend in the road. I stopped riding. They weren’t driving crazy fast, but with so many cars it didn’t matter. On Skyline Boulevard I developed a powerful thirst, which could mean only one thing: a visit to the coke machine at the Los Altos Rod and Gun Club. I enjoyed a club soda while lounging on a deck chair. The desultory sound of gunfire and the American flag on the tool shed reminded me that I was in Reagan country. Jobst used to stop here for a drink. In addition to the secret coke machine, he introduced me and others to the joys of drinking from springs and chastised those who feared giardia or other beasties. He even eschewed the bike water bottle. Only in his later riding years did Jobst start carrying a satchel with Pepsi, which he guzzled by the quart. 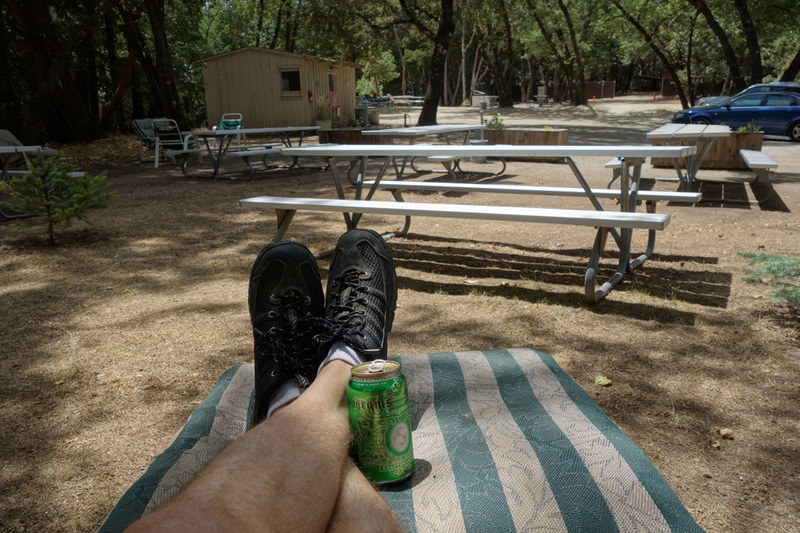 Enjoying a nice day in the Santa Cruz Mountains. This entry was posted on August 4, 2014 at 7:11 pm and is filed under Ride reports. You can follow any responses to this entry through the RSS 2.0 feed. You can leave a response, or trackback from your own site. Thanks for the tip on the rod and gun club. I ride by frequently but it had never occurred to me that I should stop. I was sure you were going to say Mr. Mustard’s trailer at the intersection of Skyline and Hwy 9.